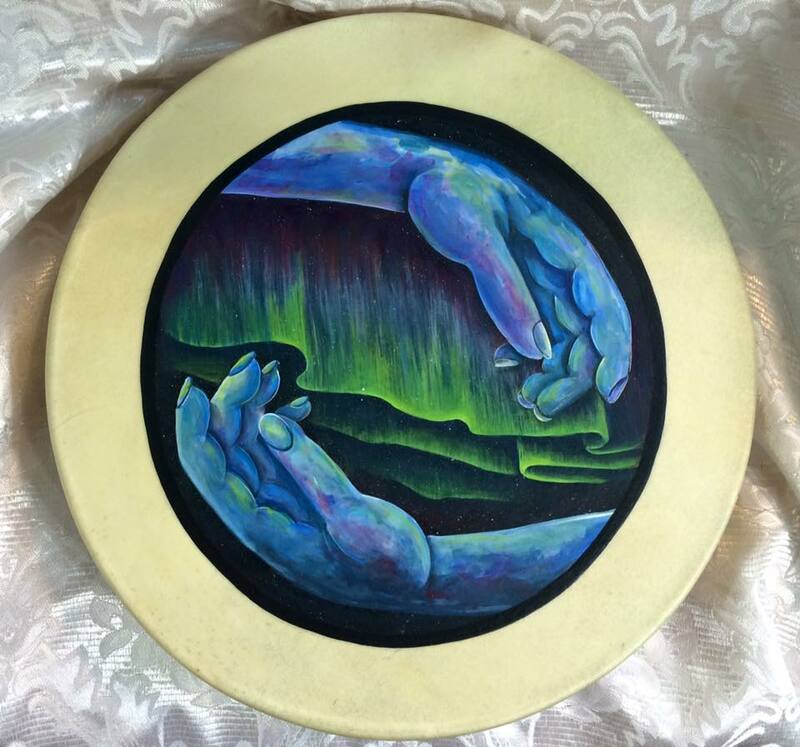 Artist and Drum maker Gayle Crosmaz-Brown is a Spiritual Being whose drums are guided by the ancestors of the Spirit world. 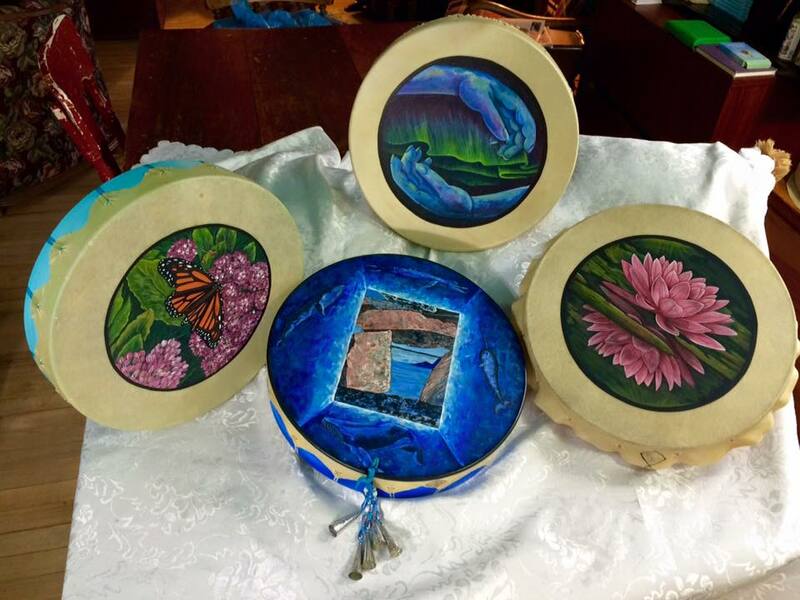 Each sacred medicine drum is created in ceremony and prayer. Gayle receives direction from Spirit what is needed on your drum. She creates a body…. It is an instrument into which she births a soul. Souls come to this earth plane as children or sacred objects. 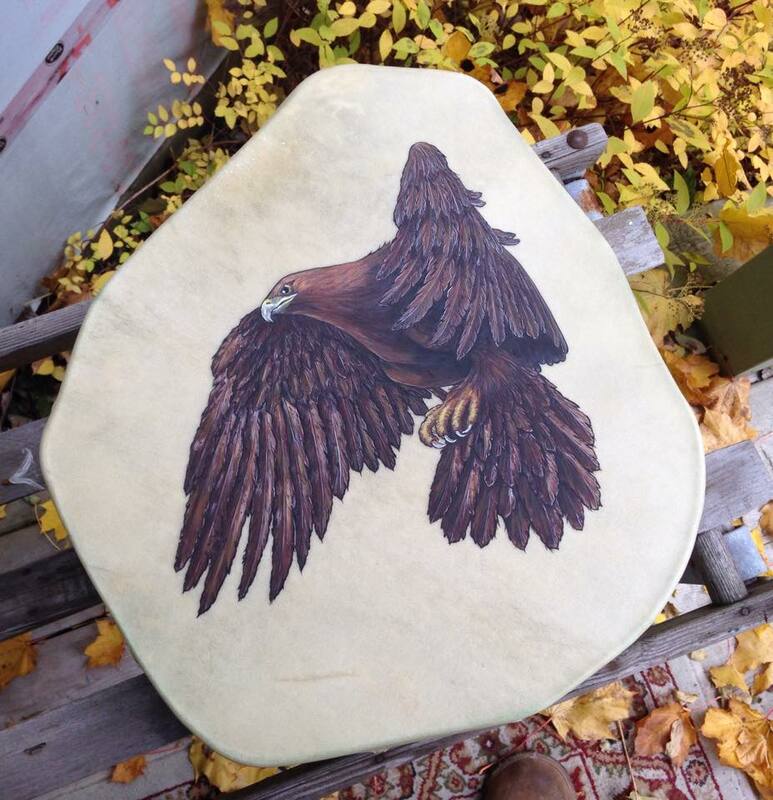 This soul drum will teach you the wonders of the universe it has just left. The drum’s purpose is not manipulated by the intentions of humankind; it is filled with the purest of intention. 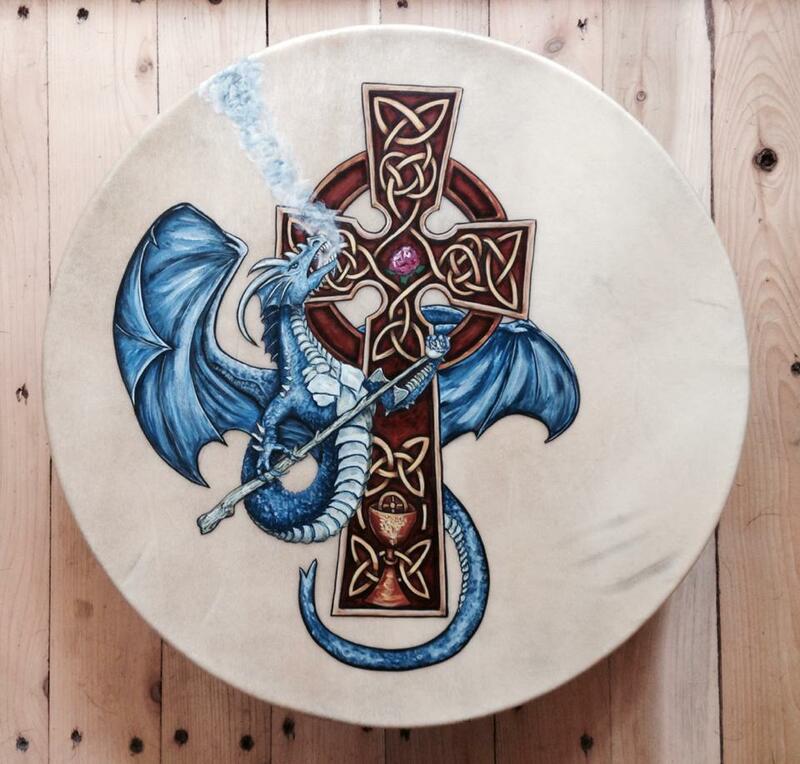 The drum is a Spiritual tool for healing self and others. 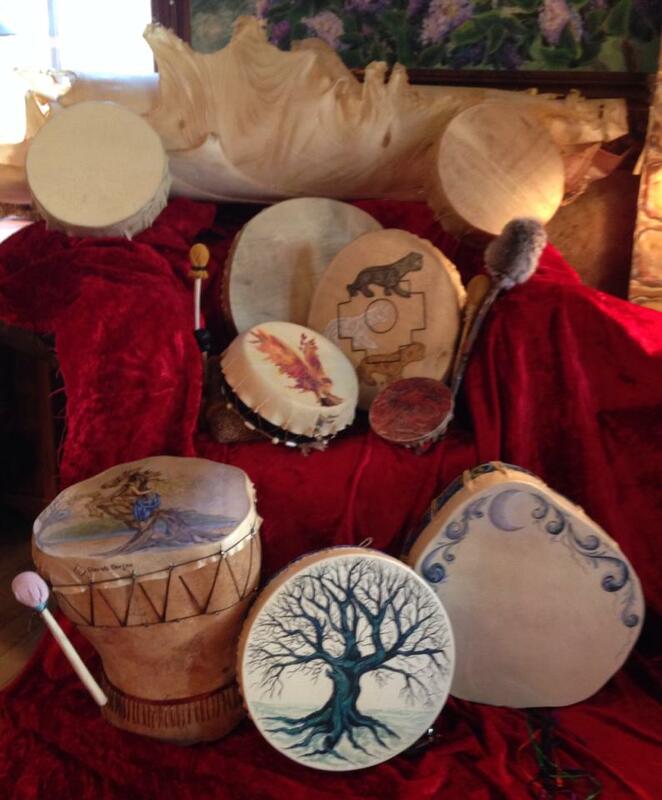 These special and magical drums not only promote healing they also guide and teach the client, raising their vibration as well as aiding in deep meditative journeying. Journeying is an important means of receiving complex and detailed messages from the Ancestors.